The tempo of U.S. military occupation of Africa quickens by the day. Seizing every real and manufactured crisis as an opportunity, Washington has created a continental infrastructure that has already reduced most African armies to appendages of U.S. foreign policy, dependencies of the Pentagon. American armed forces operate across the length and breadth of Africa and exercise effective control over the armies of nearly all of the continent’s constituent states. The President and his family are spending a week in sub-Saharan Africa, with Senegal, Tanzania and South Africa on the itinerary. The focus of the trip, if you believe the White House, is trade, an arena in which the United States has been eclipsed by China since 2009. China, by some measurements, now does nearly twice as much business with Africa as the U.S., and the gap is growing. It is now commonly accepted that the Chinese offer far better terms of trade and investment than the Americans, that they create more jobs for Africans, and their investments leave behind infrastructure that can enrich their African trading partners in the long haul. At present, nothing stands in the way of the militarization and occupation of Africa by the United States and its junior imperialist partners. Every global and multinational organization of any consequence on the continent has been suborned to the service of the neocolonial military project. AFRICOM, the United States Military Command in Africa, has become the headquarters of recolonization, augmented by the militaries of NATO and legitimized by the African Union, itself, and the global credentials of the United Nations. Joseph Kony, the Invisible Children YouTube video tells us, is a bad guy in Uganda. He's a lawless warlord leading something called the Lord's Resistance Army, which kidnaps, enslaves and murders innocent children by the tens of thousands. We're never told exactly why, as corporate media simply paint Africa as a hellish and inexplicable place where things like that just happen. The Ugandan government, the video tells us, would gladly shut Joseph Kony down and bring him to justice if only the US would provide the advanced weapons, sophisticated tracking gear, military training and the boots on the ground to help get it done. To make this happen, all that Kony 2012's promoters ask of us is to help spread “awareness” of Uganda's “invisible” child soldiers by facebooking, tweeting and repeating the Kony 2012 video, and by emailing influential politicians and the one-name celebrities like Oprah, Bono, Rhianna, Cosby and Lady Gaga (OK, Lady Gaga is two names) to whom they listen. The Kony 2012 video aims to bring this criminal child-enslaving Ugandan warlord to justice by enlisting tens of millions of us little people in making Kony's name an odious household word around the planet, after which Washington DC will stretch forth its military arm to bring Joseph Kony, alive if possible, before the International Criminal Court for trial and punishment. African Diaspora: Hell No, We Won’t Go To War Against Africa! 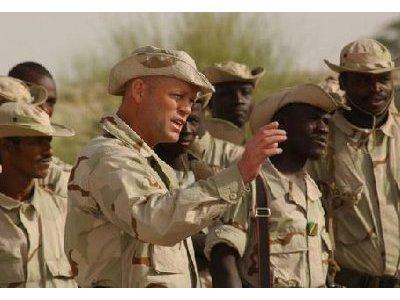 In 2005, U.S. Army brass panicked after reviewing the results of a specially commissioned study that showed a 41 percent drop in recruitment of people of African descent over a five year period. “It’s alarming,” said a general in charge of Army recruitment. He went on to attribute the de facto boycott to the war in Iraq and the views of teachers, preachers, coaches and other “influencers” in the black community who were urging young people not to sign on to what was ultimately acknowledged by many to be a pointless, senseless invasion and occupation of a sovereign country. At the time, Harlem Congressman Charles Rangel was quoted as saying: “I have not found a black person in support of this war in my district.” Little wonder. Parents and grandparents still had painful memories of veterans of the U.S. debacle in Vietnam who returned broken physically, mentally and spiritually. The war-resisting spirit of these elders was revived by the then most recent imperialist escapade, and they made clear to their children and grandchildren that they had better “just say ‘no’” to military recruiters when they came calling. The Euro-American attack on Libya has nothing to do with protecting anyone; only the terminally naive believe such nonsense. It is the West's response to popular uprisings in strategic, resource-rich regions of the world and the beginning of a war of attrition against the new imperial rival, China. President Barack Obama's historical distinction is now guaranteed. 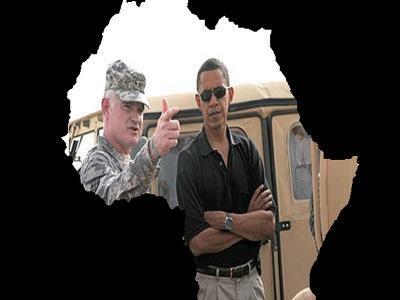 He is America's first black president to invade Africa. His assault on Libya is run by the US Africa Command, which was set up in 2007 to secure the continent's lucrative natural resources from Africa's impoverished people and the rapidly spreading commercial influence of China. Libya, along with Angola and Nigeria, is China's principal source of oil. As American, British and French planes currently incinerate both "bad" and "good" Libyans, the evacuation of 30,000 Chinese workers is under way, perhaps permanently. Statements by western officials and media that a "deranged and criminal Colonel Gaddafi" is planning "genocide" against his own people still await evidence. This is reminiscent of fraudulent claims that required "humanitarian intervention" in Kosovo, the final dismemberment of Yugoslavia and the establishment of the biggest US military base in Europe. What we are observing in Libya is the rebirth of colonialism. Only this time it is not individual European governments competing for empires and resources. The new colonialism operates under the cover of “the world community,” which means NATO and those countries that cooperate with it. NATO, the North Atlantic Treaty Organization, was once a defense alliance against a possible Soviet invasion of Western Europe. Today NATO provides European troops in behalf of American hegemony. Washington pursues world hegemony under the guises of selective “humanitarian intervention” and “bringing freedom and democracy to oppressed peoples.” On an opportunistic basis, Washington targets countries for intervention that are not its “international partners.” Caught off guard, perhaps, by popular revolts in Tunisia and Egypt, there are some indications that Washington responded opportunistically and encouraged the uprising in Libya. Khalifa Hifter, a suspected Libyan CIA asset for the last 20 years, has gone back to Libya to head the rebel army.